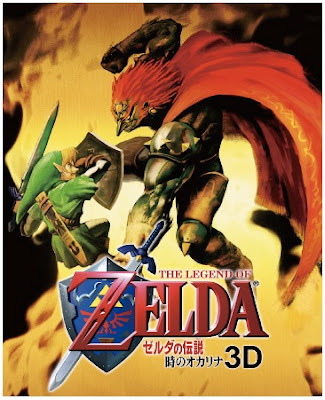 Don't quote me on this, but I believe the following piece of art will be featured, in some form or fashion, on the cover of The Legend of Zelda: Ocarina of Time 3D when it's released this spring. I might pee a little. The graphics are...just...wow. Oh, no. I mean...pretty much everything as a whole. That video was old hat. Huh. Well, you've watched more Kid Icarus videos than I have lately, Justin -- quite a bit of what was shown during that presentation was new to me!